Organisers have announced today that Workington will be a host for the Rugby League World Cup (RLWC) in 2021. The town will see some of rugby league’s top players in action after it was confirmed that the town will stage three games in the men’s tournament. Around 200 local children, sportsmen and women, councillors and business leaders packed into the Carnegie Theatre in Workington to watch the announcement as it was broadcast live from Manchester on the BBC online sport channel. 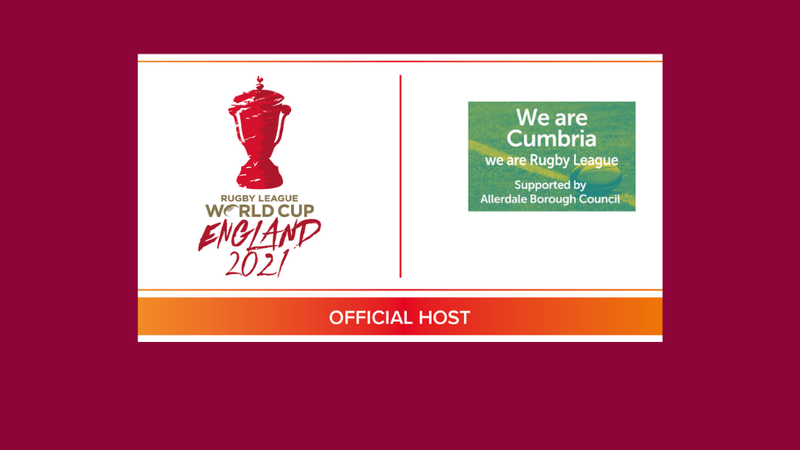 Allerdale Borough Council, in partnership with Workington Town rugby league club, bid to be a host earlier in the year. The town successfully staged three games in 2013 and played host to the Rugby League World Cup trophy in December 2018. The town also played host to games in the 2016 Four Nations. The council is currently developing plans to build a new 8,000 capacity stadium in Workington which will be used jointly by Workington Town and Workington Reds football club, and which forms part of the bid. The plans include a space for NHS facilities, as well as offices for Sellafield workers and a hospitality suite. Organisers hope the Rugby League World Cup will be the biggest, and most attended and watched event in its history bringing together world-class athletes at Rugby League’s biggest stage. It will include a men’s, women’s and the wheelchair world cup, making the event even more accessible and inclusive. The tournament will be held in October and November 2021.